Home » Featured Articles » After the Buzz: Is Civilization VI Really That Bad? 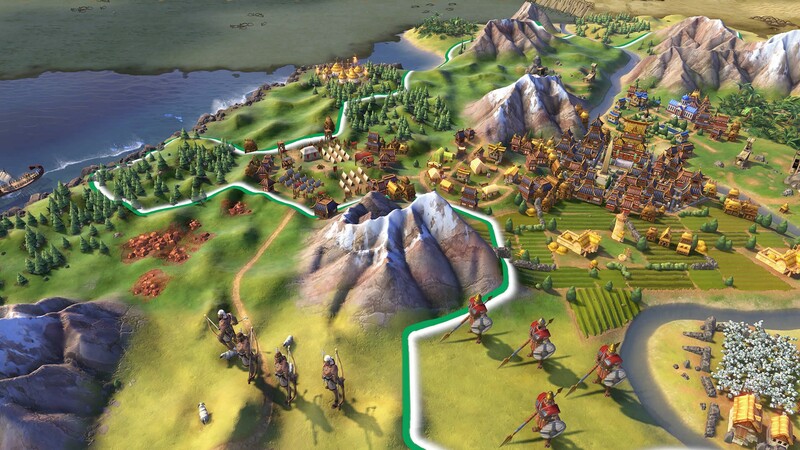 There’s a lot of good developments to cover – having multiple leaders for one civilizations (even though it’s just Greece for now), eureka boosts for a more natural flowing tech tree, and bringing back great core mechanics like religion – there are two we feel are monumental to Civilization VI’s success, and have brought the series forward. First and foremost, a mountain of praise and a whole lot of love must be showered upon whomever suggested decompressing cities. Districts mark a huge departure from the usual humdrum of cities, where you build up the essential buildings and practically set it on autopilot for the rest of the game. It’s a change that requires players to plan out their empires from the very first turn, down to the very last tile – and a welcomed change at that. Another major improvement is the change from the dreaded global happiness to individual city happiness. Although it might seem like a minor adjustment, this tweak has allowed for players to go back to the days of Civilization III and Civilization IV, where sprawling empires were common sight. Being able to play wide early on – where you expand your empire instead of focusing on buildings improvements – brings back a bevy of strategies to make the game feel unpredictable and fresh again. 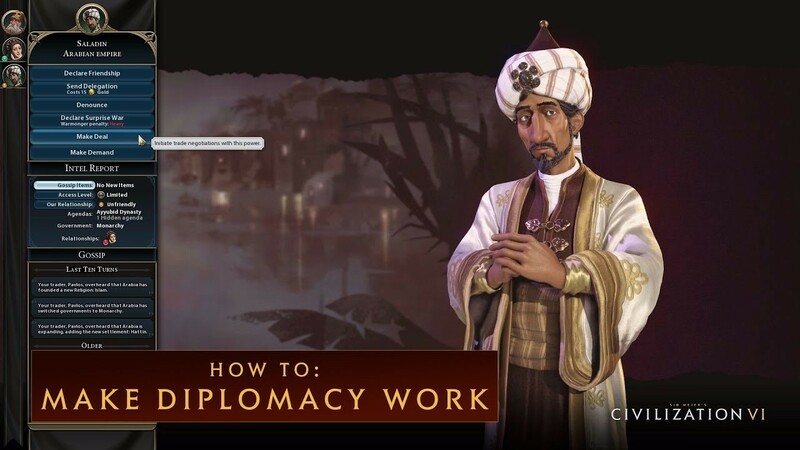 Despite those positive changes, the game is still by and large a regression from the complete Civilization V experience – although it must be said that vanilla Civilization games are usually pretty incomplete. From the lack of a diplomatic victory to a lackluster AI, the game needs improvements fast. 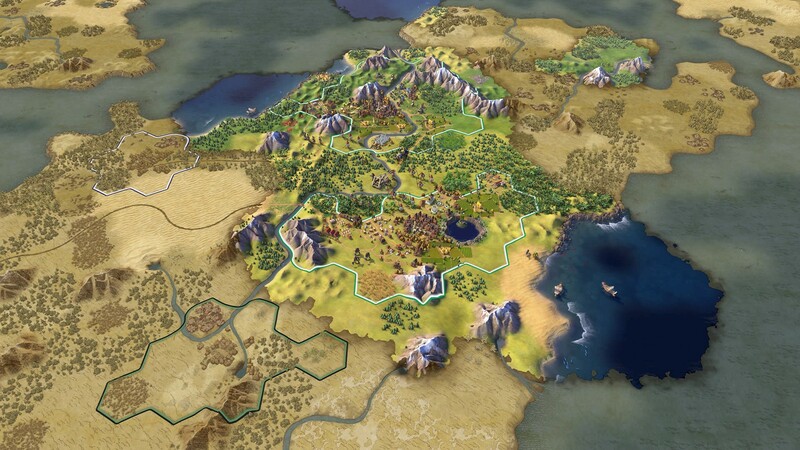 Since the switch to the one-unit-per-tile system in Civilization V, AI has become quite the focal point for long-time fans, who state that the AI just simply isn’t sophisticated enough to strategize effectively. This problem has been exacerbated by a less advanced AI than before; with the computer players not upgrading their units, making inane trade deals, and not attacking cities when they have the capability to. Although you could just play the game with other human opponents as a workaround, it just seems in poor taste to release a Triple-A title without a challenging single-player opponent. Now, the ugly is quite a literal term, because the game’s UI is obviously unfinished and unpolished. With text that sometimes protrudes out of their boxes, scaling issues for those of us with smaller screen, and just a civilopedia that is lacking any substantial information, clearly someone dropped the ball on this issue. Now, we don’t know if this is because Fraxis simply overlooked these issues, or 2K Games was pushing the developers to release the game on time, but whatever the reason this has to be fixed as soon as possible. We know this issue isn’t game breaking and we’re nitpicking at this point, but for a series as respected and heralded as Civilization to be making rookie mistakes like this just seems lazy. A week-1 patch was expected by many loyal fans and newcomers to the series, but we’ve yet to hear anything from Fraxis. One can only hope they’re fixing up all these problems and annoyances in one “mega-patch,” but only time will tell. But is the game really that bad? No, definitely not. It must be noted that Civilization VI – despite its many flaws and inconsistencies – is perhaps the most polished vanilla Civilization release we’ve ever seen. We’re cautiously optimistic about what the future will bring Civilization VI, and how the expansions will improve upon this complex game. But for now, just give us the patch already! Want to try Civilization VI for yourself? 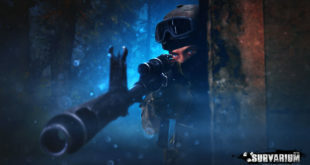 Head over to GamersGate.com and purchase a copy right now! If you purchase your copy of Civilization VI from GamersGate.com through Shopback, you will receive a 6.0%! Save while you game, get the best of both worlds today. All images courtesy of Fraxis and 2K Games. Previous Fantasy Squad Opens ‘Project’ Event with $5000 worth of in-game items! Next Rogue Life: Squad Goals’ opens 2017 with tons of exclusive in-game rewards!